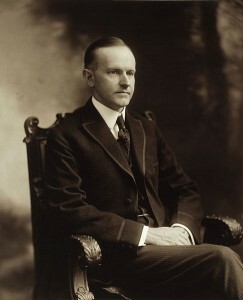 Continuing on with the patriotic theme of this anniversary week of the adoption of the Declaration of Independence, we will go back to a previous anniversary of this auspicious occasion: a speech given by president Calvin Coolidge. Delivered in Philadelphia for the 150th anniversary, the Vermonter posited that “a century and a half measured in comparison with the length of human experience is but a short time, yet measured in the life of governments and nations it ranks as a very respectable period. Certainly enough time has elapsed to demonstrate with a great deal of thoroughness the value of our institutions and their dependability as rules for the regulation of human conduct and the advancement of civilization.” We have now nearly had another one hundred years to vet those institutions and principles and, today, they seem no less good than they did then. The 30th president went on to reflect that “[a]mid all the clash of conflicting interests, amid all the welter of partisan politics, every American can turn for solace and consolation to the Declaration of Independence and the Constitution of the United States with the assurance and confidence that those two great charters of freedom and justice remain firm and unshaken.” Great words in which one could take pride, although some may question whether they still ring as true today – nearly 90 years later – as they did in 1926. Lately it can seem like the din of those clashing partisan politics can drown out everything else, as basic rights guaranteed by those “charters of freedom and justice” are disregarded in the name of emotion, false “facts,” and agendas. Those resolute, “firm and unshaken” principles are often treated as living, evolving things – perhaps mere suggestions – or even considered deleterious by some. Be that as it may, these documents, and those like them, are our founding documents. They are the charter that codifies what America is all about and what makes it the greatest nation. Let’s celebrate that this Fourth of July. As Independence Day fast approaches, Americans are gearing up for a long weekend. Maybe some time off from work, a barbecue, some frosty cold beverages, fireworks, time well spent with family, and other red-blooded patriotic American festivities. We’re certain that many will also be celebrating the 239th anniversary of the adoption of The United States’ Declaration of Independence by exercising the right to keep and bear arms and burning up some gun powder at the shooting range. Perhaps a fitting observance, considering some of the events that ignited the American Revolution and fueled the forge that made this nation what it is today. As a tribute, this week we will be posting some patriotic stuff. Because… America! In the mid-1770s, after some uppity American colonists threw a bunch of tea into the Boston Harbor as a protest over the Tea Act’s “taxation without representation,” the British government tried to spank them with the Intolerable Acts. Well, those free spirited early American men didn’t much care for that, so they began taking steps to resist Brit control, such as passing the Suffolk Resolves and creating the Massachusetts Provincial Congress. 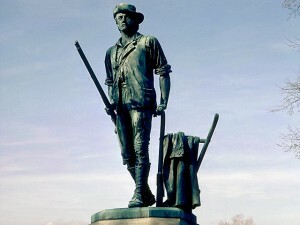 Not about to take any guff from those yanks, the British government declared Massachusetts to be in a state of rebellion and, as oppressors often do with those they want to control, decided to disarm the people. Nihil novi sub sole, right? It was on their way to capture and destroy militia supplies that, under secret orders, approximately 700 British Army regulars under the command of Lt. Col. Francis Smith marched – by way of Lexington – on Concord. There, at the North Bridge, 400 or so militiamen engaged a contingent of the British regulars, driving them back to Concord proper where the rest of their force was searching for arms to confiscate before being forced to withdraw, first back to Lexington – where shots had been fired earlier in the day – and then, along with their reinforcements, back to Boston. 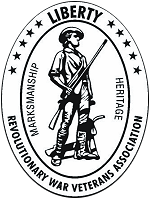 That day, April 19, 1775, the battles of Lexington and Concord marked the first military engagements of the American Revolutionary War and put us on the path to becoming the nation that we are today. 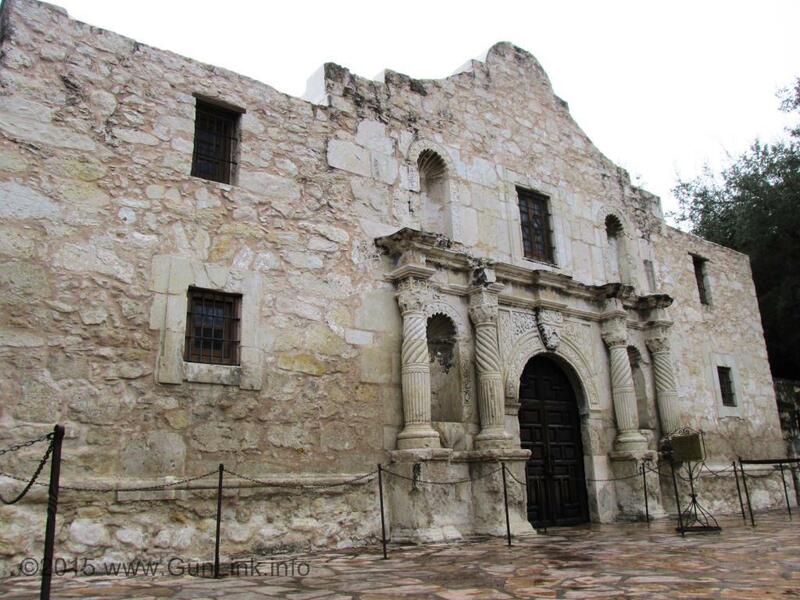 Today marks the anniversary of the start of The Battle of the Alamo – General Antonio de Padua María Severino López de Santa Anna y Pérez de Lebrón’s (a.k.a, for obvious reasons, Santa Anna) assault on the Alamo Mission. On February 23, 1836, Santa Anna led approximately 1,500 troops – under a red “no quarter” flag – into San Antonio de Béxar as a step toward putting down the Texas Revolution. 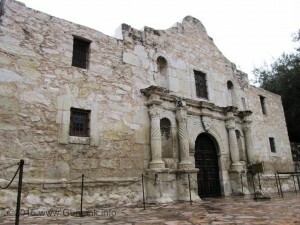 Although William B. Travis – who had been stationed at the Alamo Mission for only 20 days – had been writing letters pleading for reinforcements, few arrived to supplement the approximately 100 men garrisoned at the Alamo, the 30 men that James Bowie brought and the 18 regulars who came with Travis weeks earlier. The Winchester Repeating Rifle Model 1873 was so prevalent on the American frontier – with nearly 3/4 of a million produced between 1873 and 1916 – that it was dubbed The Gun that Won the West. One particular 1873 was also The Gun that was Lost in the West. Workers in Nevada’s Great Basin National Park found the rifle propped against a tree last November and have been working to track down its origins. Although severely weathered after having been exposed to the elements, the rifle appears to be in relatively good condition with the serial number and other barrel markings readable. Those markings were used to help trace the rifle back to its 1882 date of manufacter, according to records held at the Cody Firearms Museum’s Center for the West in Cody, Wyoming. 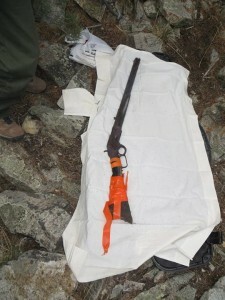 It is unclear exactly how long the rifle has been waiting to be discovered in Great Basin NP or why it was left there. Researchers continue to hunt for clues to find out whether it was left there by a forgetful real life Old West cowboy or perhaps in more recent decades by a hunter who may have lost track of the lever-action rifle during a pit stop. Although the date of manufacture was tracked down, there do not appear to be any records of who purchased the rifle or from which warehouse it was shipped. According to the park’s Facebook page, more than 25,000 such rifles were produced that year with a price tag of $25, lowered that year from the original price of $50. The historic firearm will be preserved the condition in which was found – including weathered wood and rusted metal – to become part of the display commemorating the park’s 30th year in 2016. One week from this Friday – June 6, 2014 – marks the 70th anniversary of the start of Operation Neptune – the invasion of Normandy, France, by WWII Allied forces and the initial phase of Operation Overlord. Operation Neptune was the largest seaborne invasion in history, involving more than 156,000 Allied troops including more than 57,000 Americans and combined forces of over 75,000 British and Canadian troops attacking by sea and more than 15,000 Americans and nearly 8,000 British by air. 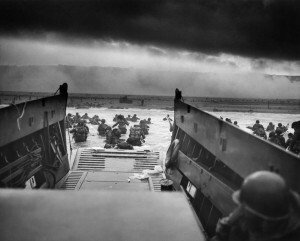 Despite the large number of casualties suffered by Allied forces, Operation Overlord was a decisive victory, creating a foothold for the invasion of German-occupied Western Europe.